With my fresh garlic in the garden coming on, I’m trying to use up all of my garlic from last year. So be ready for some garlic recipes. In a medium size mixing bowl mix all ingredients. Lay 3-4 thawed steaks in large flat pan, only one layer of steaks, do not stack them on top of the other. Pour marinade over steak, cover with plastic wrap and refrigerate for 3-4 hours or overnight. 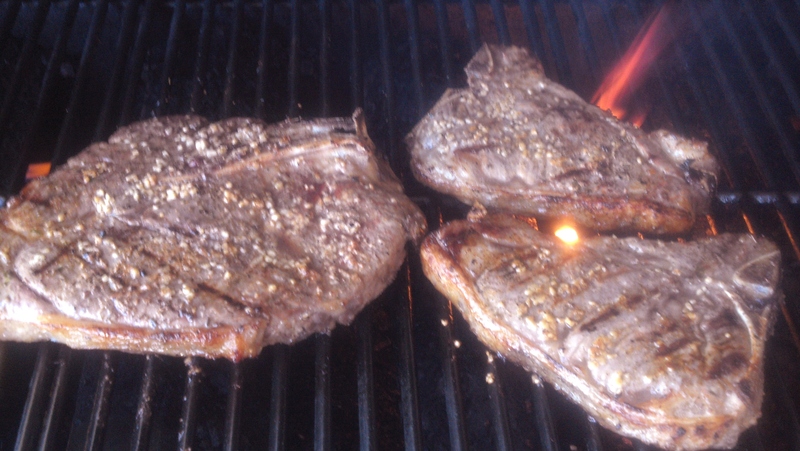 When ready to grill leave marinade on steaks, don’t wash it off. Place steaks on grill and ladle more marinade over steaks, salt and pepper to taste. This marinade will make steaks so TENDER ! Enjoy!